A daring installation highlighting domestic abuse shocked visitors to a recent Canadian wedding show. 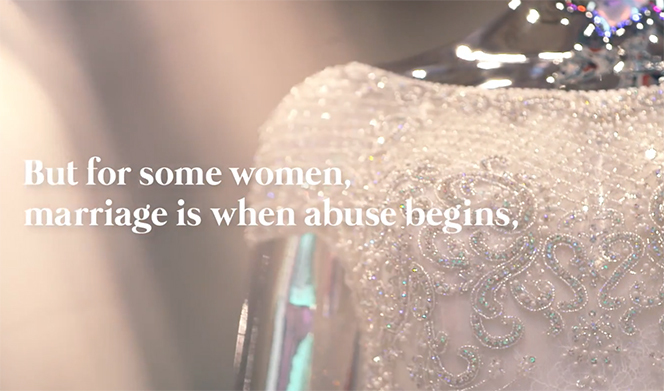 Toronto agency Union has collaborated with domestic abuse shelter, Interval House, in a provokative, multi-faceted campaign – the Broken Bride Registry – to highlight the plight of abuse victims. The campaign was directed by Kat Webber, through Touchpoint Films. In Canada, spousal violence has been identified as the most common form of violence against women, with an average of one woman killed by a partner every six days. To raise awareness of this, Union and Interval House created a stall where visitors were presented with real-life stories, provocative images and heartbreaking experiences to demonstrate that the honeymoon period can actually be the time when domestic abuse starts or escalates. The interactive display billed as, A Registry You’ll Never Forget, was essentially a bridal booth, but instead of showcasing bedsheets and fine china, it was stocked with items such as cigarette burn cream, arm slings and untraceable mobile phones. 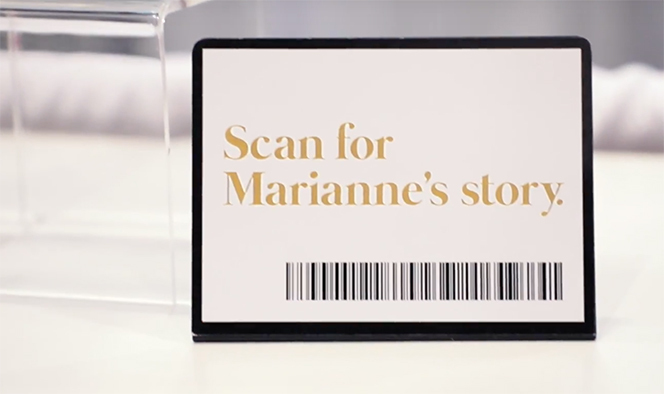 When the barcoded items where scanned on smartphones, they revealed real-life stories and videos of domestic abuse. The aim was to get the prospective bride to either add Interval House to her registry – the list of preferred wedding gifts – or make a charitable donation on the spot. 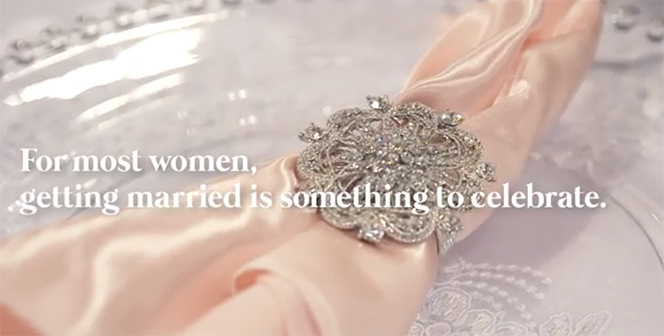 “Talking about violence against women is difficult, especially at a happy event like the bridal show, but it’s a conversation that needs to be had,” explained Rica Eckersley, creative director at Union.